Francis Barabanawe (2nd right) Gulu town clerk, cautioning division chairperons on misuse of government property. Photos by Irene Abalo. The World Bank (WB) recently ranked Gulu Municipality second in a Uganda Support to Municipal Infrastructure Development (USMID) project assessment exercise held in Mbarara Municipality early this month. The assessment targeted a total of 14 municipalities that are beneficiaries of USMID, an initiative by WB aimed at expanding urban infrastructure, enhancing the capacity of 14 municipalities in the country to generate own revenue, improving urban planning as well as strengthening financial management, procurement, environmental and social systems. The six-year project that was launched in 2013 was a brainchild of World Bank Board of executive directors who approved an International Development Association (IDA) credit of $150 million to finance urban development. In this year’s assessment, Jinja emerged the best with 98 per cent and was closely followed by Gulu at 96%. Arua came third with 95 per cent. “We would have emerged the best again but because of small things lacking, we were relegated to number two, which is not good because the ranking impacts on the amount of money a municipality gets in the next phase,” George Labeja, the Gulu Municipality mayor, said. Last year, Gulu Municipality was ranked number one out of the 14 municipalities in the country in terms of implementing USMID project. The second position, therefore, did not go down well with the municipal authorities. 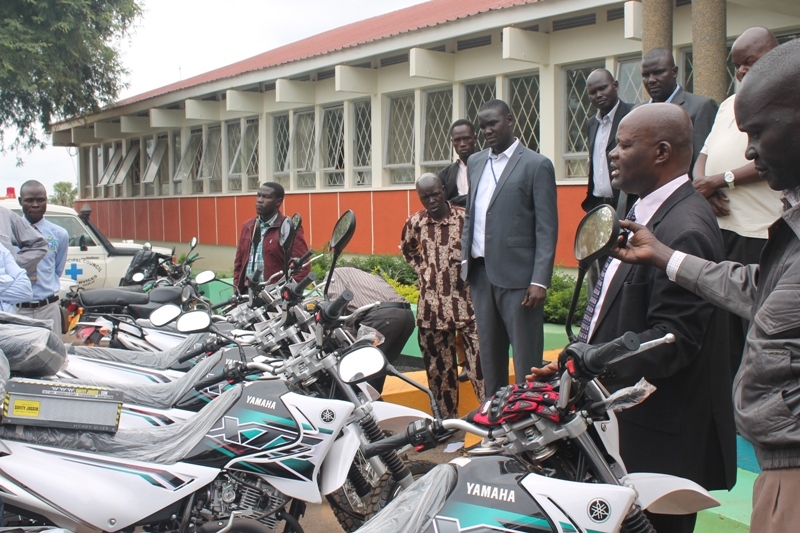 As part of measures aimed at regaining the top position, the municipality yesterday procured five Yamaha motorcycles and handed them over to the four divisions that make up Gulu Municipality. The municipal town clerk, Francis Barabanawe, said the motorcycles were procured using the capacity building fund from USMID. 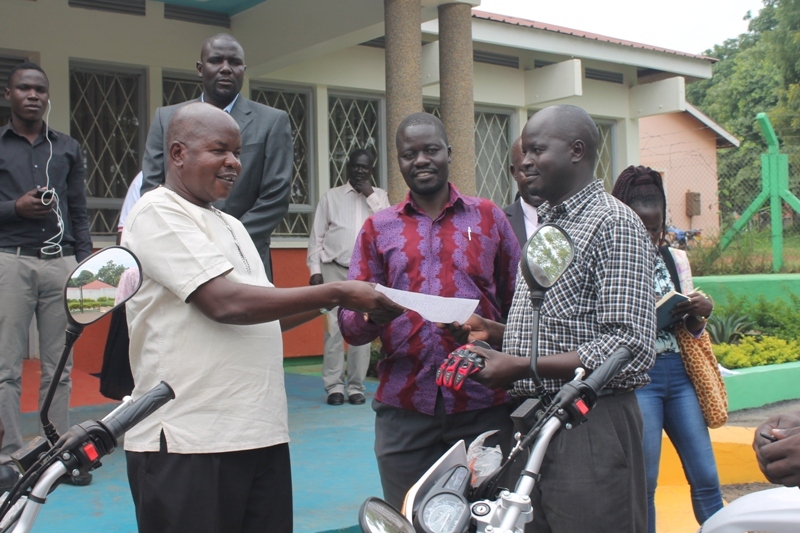 While handing over the motorcycles to the division chairpersons at Gulu Municipal Council office premise, Barabanawe warned the division leaders against misuse and individual attachment to the motorcycles. 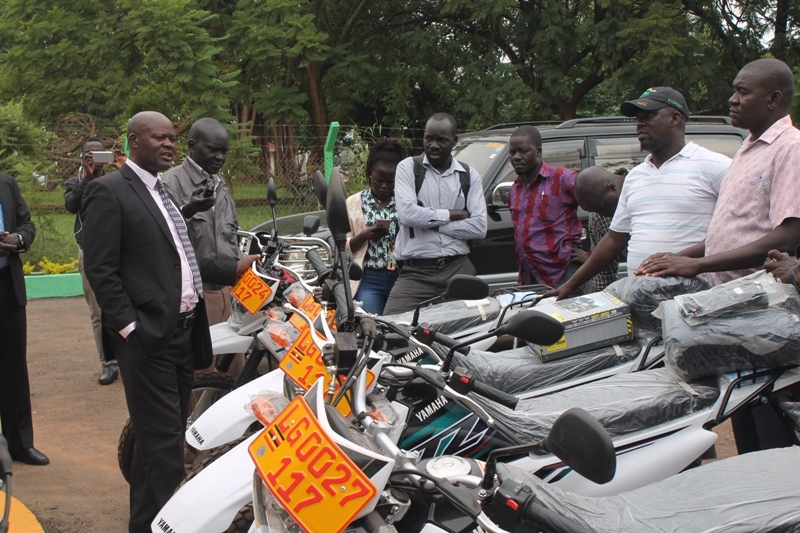 “Use these motorcycles for revenue mobilisation and you must make sure they are well maintained,” the town clerk instructed. He said the next WB assessment should put Gulu Municipality to its first position. “We are going to put the word USMID on these motorcycles for proper identification. WB will be coming to assess projects and procurement. I don’t want to hear that by that time, there are only two or three motorcycles left,” Barabanawe warned. Mayor George Labeja hands over moto cycle keys to Bardege LC3 chairman Patrick Oola Lumumba at Gulu Municipal head office yesterday. Alfred Oluba, the chairman LC3 Layibi Division, welcomed the motorcycle initiative, saying it will help enhance revenue mobilisation since the division had only one motorcycle procured two years ago using PRDP funding. “We had challenges with transportation that led to low revenue collection since we do not have a vehicle but one motorbike. Now that they are two,we shall try to use them to reach out to all divisions and ensure efficient resource utilization,” Oluba said. The five motorcycles were procured at a tune of Shs68 million. World Bank gave the 14 municipalities discretion to select priority projects from a menu including roads, liquid and solid waste management, water and sewerage, local economic infrastructure as well as urban transport, among other infrastructure projects. The 14 beneficiary municipalities include Arua, Gulu, Lira, Soroti, Moroto, Mbale, Tororo and Jinja. Others are Entebbe, Masaka, Mbarara, Kabale, Fort Portal and Hoima. Gulu has so far constructed more than 10 Kilometers of roads that has given a facelift to the former epicenter of the two decades of brutal conflict by the Lord’s Resistance Army (LRA).